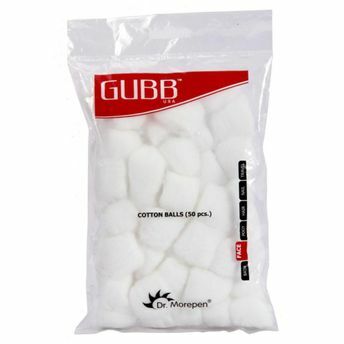 These cotton balls from GUBB USA have been made with sterilized cotton which make it ideal for all skin types. They are extremely soft and gentle to the skin, they are perfect for baby's tender skin as well. GUBB USA, the international grooming range from "U", is a renowned name in the field of personal skin care items and brings quality products at affordable rates. Try GUBB cotton balls new 50s today!